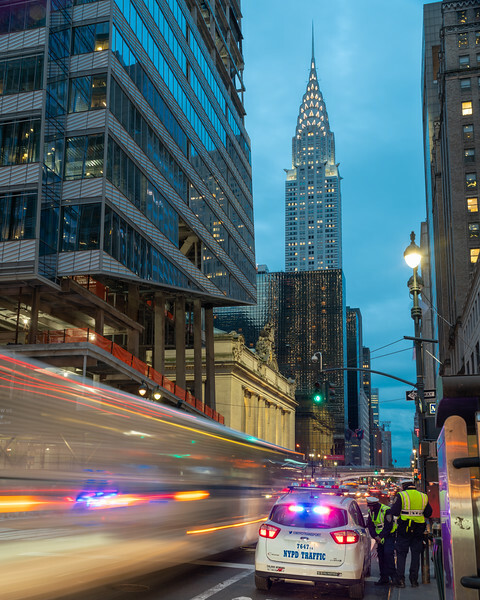 Chrysler Building with a speeding bus and NYPD traffic cop meeting to the right. Taken during the blue hour. One Vanderbilt is under construction to the left.